The Shared Ride Program is funded by the Pennsylvania Lottery and sponsored by Chester County Department of Aging and provides transportation at a reduced fare (75¢ for each ride) to persons ages 65 and older. If the ride is not sponsored the senior is responsible for 15% of the cost of each ride. 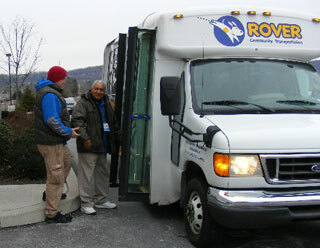 The program offers door to door transportation for seniors age 65 and older. There are two providers of this program in Chester County. Rover has been part of the Chester County community since 1984. It was created to provide reliable and diversified transportation for the residents of Chester County. The services Rover provides are especially designed for those who no longer drive, or have no other means of transportation. 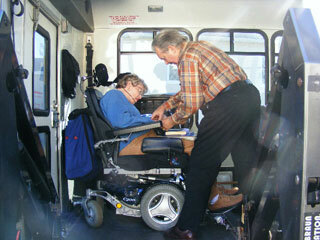 Rover is particularly ideal for residents who may need special assistance to travel. Providing more than 300,000 rides annually, Rover is available to help residents get to where they want to go, inside or outside of Chester County. Anyone can use Rover but the service is designed to serve customers through specific programs. For more information related to Rover visit the website: www.riderover.com. Rainbow Cab offers Senior Shared Ride local and Philadelphia Airport cab service through Rover to eligible seniors. To register and make reservations please call Rover at 484-696-3854. Paratransit Program – CCT Connect: SEPTA operates two demand response paratransit programs for registered customers in accordance with the Americans with Disabilities Act (ADA), and the Commonwealth of Pennsylvania Lottery-funded Shared-Ride program. SEPTA's paratransit program, CCT Connect, is available to individuals with disabilities who are functionally unable to use regular, accessible fixed-route buses and light rail vehicles for some or all of their transportation needs; and to senior citizens, age 65 and older, who live in the City of Philadelphia. ADA service must be provided within 3/4 of a mile of all regular fixed route buses and light rail vehicles whenever and wherever they operate. Registered customers may reserve rides one to three days in advance of travel. There are no restrictions on trip purpose or frequency of travel. SEPTA does suggest that customers using wheelchairs or scooters on SEPTA vehicles have four securement locations on non-movable parts of their mobility device. For more information about paratransit eligibility call SEPTA CCT Connect weekdays at 215-580-7145. SEPTA Accessibility: SEPTA understands the critical role public transit plays in making independence and mobility possible for citizens with disabilities throughout its five-county service region. All SEPTA buses and over 100 train stations are accessible. SEPTA is dedicated to making it easier for customers with disabilities to use its fixed-route and paratransit services through a comprehensive program of accessibility improvements including fleet enhancements, stations constructions, and other service initiatives such as its Accessible Travel Center. At the Center, customers can practice getting on/off a SEPTA bus, negotiate a fare box and positioning themselves within the wheelchair berth. They can also learn important tips about riding public transit. For more information visit Accessible SEPTA. ADA Services: As opposed to a traditional paratransit system, TMACC uses its existing fixed route fleet (SCCOOT and LINK) to fulfill the ADA mandate to provide service to disabled passengers within 3/4 of a mile of the fixed route service. Because TMACC operates a fully accessible fleet, they can deviate from the normal route operations to pick-up ADA passengers on an on-demand basis. ADA ride quantity is expected to be minimal and will not significantly impact scheduled service. For more information and how to apply for this service please go to TMACC ADA Services or call 610-993-0911 or toll free (877)-612-1359. Persons with Disabilities Transportation: The transportation for Persons with Disabilities Program (PWD) is available for use by people with a documented disability that do not qualify for any other program. For eligibility and registration to receive transportation please go to Rover Community Transportation website or call 484-696-3854 for more information. Pottstown Area Rapid Transit (PART) paratransit routes include the service area of its five bus routes and any destination within 3/4 of a mile radius is eligible. 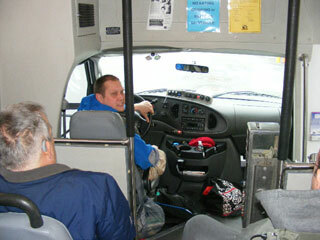 All buses and vans are ADA compliant and wheelchair accessible. For more information on how to become eligible visit PART's website or call 610-326-5413. Persons who are receiving Medicaid or Medical Assistance are also eligible for free Paratransit service either through the ACCESS card or from a managed care organization (MCO). They may ride Paratransit to medical appointments in Chester County. Need transportation to get to a covered medical service from a provider who accepts the Medical Assistance card, or be receiving services from a Medical Assistance managed care organization (AmeriChoice, Health Partners, or Keystone Mercy). For more information about MATP and how to register go to ROVER Community Transportation website or call 484-696-3854 or toll free 1-877-873-8415. People who are receiving Medicaid/Medical Assistance can also use private transportation to go to medical appointments and get reimbursed for their mileage expense. If you have a car or if you can get a ride to your medical appointment, you can get money back for mileage. ROVER will provide a form to claim reimbursement at $0.12 per mile. Additional regulations regarding this program will also be furnished to you. Medical Assistance is required by law to provide the least costly transportation available. Public transportation should be used when the origin and destination of your trip are within one-quarter mile of public transportation. You can get money back for your public transportation fare if you use the bus or train. A reimbursement form will be provided.